Whether you are a firearm hunter or bowhunter, chances are good that at some time you have shot a deer and never recovered it. The disappointment and frustration involved in losing a deer can be overwhelming, but you can increase your odds of finding a wounded deer by following these four tracking tips. Every time you fire at a deer, keep track of your shot and where it hits the animal. This is important in tracking, because if your shot missed its mark badly, the deer could go a long way. If it hit a vital area, you likely will not have to travel too far to find the deer and there will probably be plenty of bldood left along the deer’s trail. Another key at this point is to watch where the deer goes. Keep your eyes on it for as long as possible and make notes on markers such as trails, trees, rocks or other objects that can help you pinpoint the trail of the deer. Also note any signs of trauma in the deer, which can help you determine how badly it is wounded. When you shoot a deer and it takes off, your first instinct may be to go right after it. Resist this urge. The last thing you want to do is push the deer. A pushed deer can travel much farther than one that is left to go off on its own. In most cases, you want to wait at least 30 minutes before you start tracking the deer. Finding the blood trail, especially close to the spot where the deer was hit, can be the most difficult part of tracking, which is why it is important to watch where the deer goes. Even a shot to the vital organs can take a while to start bleeding heavily. It is not uncommon for there to be only tiny drops of blood near your hunting site. 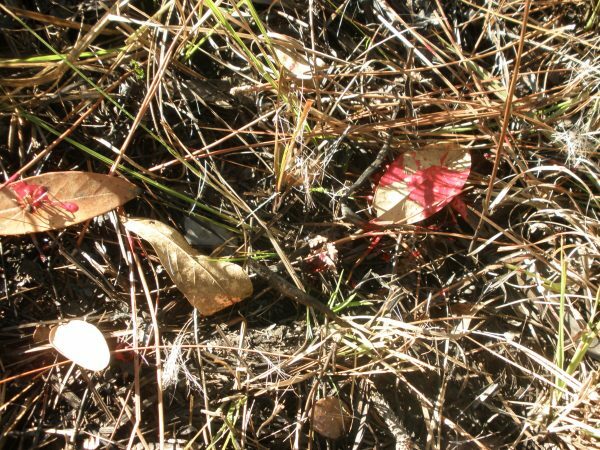 If you can find those small drops of blood and stay on the deer’s trail, you will likely encounter more blood, which will make the tracking process easier. As you are following the blood trail, look for other clues about the deer. If the blood pattern is in a straight line, you know the deer is walking. If the blood pattern goes back and forth across the trail, the animal is likely staggering and should soon drop. You can also get clues about the animal from the type of blood you are seeing. Greenish blood is likely a stomach hit, pinkish blood can be a lung shot, while dark blood can mean a liver shot. If the blood is bright red, it can mean it was not hit in a vital organ. It is good idea to mark the areas in which you find blood. This helps you determine where the deer has been and where it might be going. When you are tracking, it is important to remember that wounded deer often follow similar patterns of where they go when wounded. Although not a 100 percent certainty, wounded deer often run downhill or go toward water when they are wounded. If you lose the trail, begin your search in downhill areas or the nearest lake, pond or stream.